The angle adapter S has dimensions of a standard RCA angle adapter. The angle adapter XL's output unit is extended. 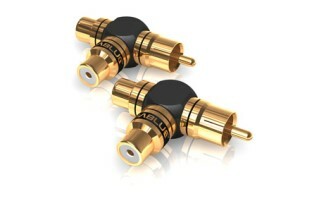 The longer XL adapter acts as a bypass to the smaller angle adapter S. Cables can be moved vertically from both RCA jacks. The two different sizes of angle adapters S and XL are not overlapping. 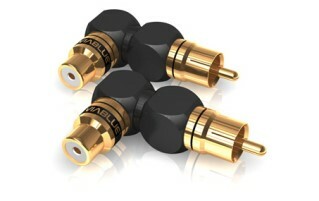 The ViaBlue™ XS series provides adapters for both audio and video devices. XS adapters help to organize a professional cable management. ViaBlue™ XS adapters Y 1x rca male to 2x rca female are used as splitters for doubling and routing signals from one source to two receivers. 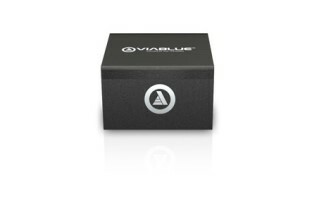 High-end internal contacts of the ViaBlue™ XS adapter series guarantee absolutely low resistance transmissions of audio and video signals. The contact surfaces are 24 karat gold-plated. 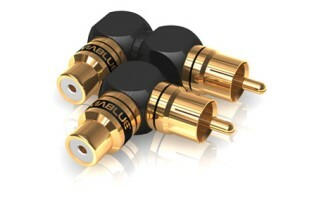 ViaBlue™ XS adapters Subwoofer Y 2x rca male to 1x rca female are used as splitters for routing signals from two sources to one receiver. 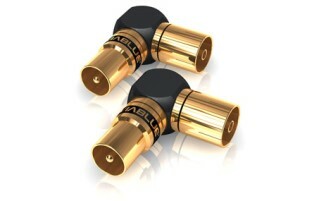 This is ideal for using mono subwoofer cables for subwoofers that have stereo inputs. 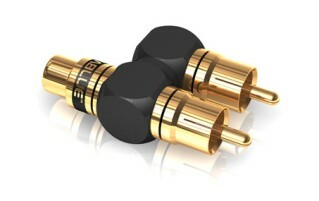 The subwoofer y adapters can be easily attached to stereo rca jacks. The distance between two rca jacks is a standard size. High-end internal contacts of the ViaBlue™ XS adapter series guarantee absolutely low resistance transmissions of audio and video signals. The contact surfaces are 24 karat gold-plated. ViaBlue™ XS adapters BNC RCA connect cables with RCA interfaces to BNC ports. 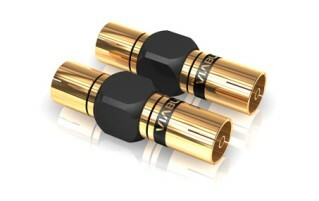 High-end internal contacts of the ViaBlue™ XS adapter series guarantee absolutely low resistance transmissions of audio and video signals. 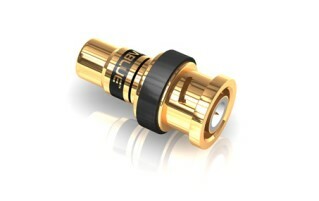 The contact surfaces are 24 karat gold-plated. Low-resistance connections for every situation. 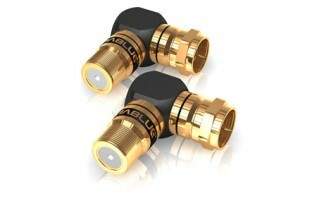 ViaBlue™ XS adapters antenna 90° angle are used for antenna ports in wall sockets to lead cables safely arround corners. High-end internal contacts of the ViaBlue™ XS adapter series guarantee absolutely low resistance transmissions of audio and video signals. The contact surfaces are 24 karat gold-plated. 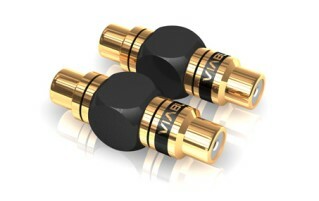 ViaBlue™ XS adapters F 90° angle are used for F ports in wall sockets to lead cables safely arround corners. High-end internal contacts of the ViaBlue™ XS adapter series guarantee absolutely low resistance transmissions of audio and video signals. 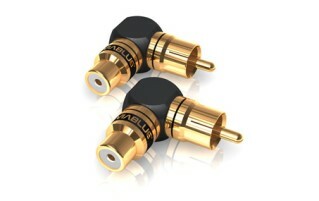 The contact surfaces are 24 karat gold-plated.